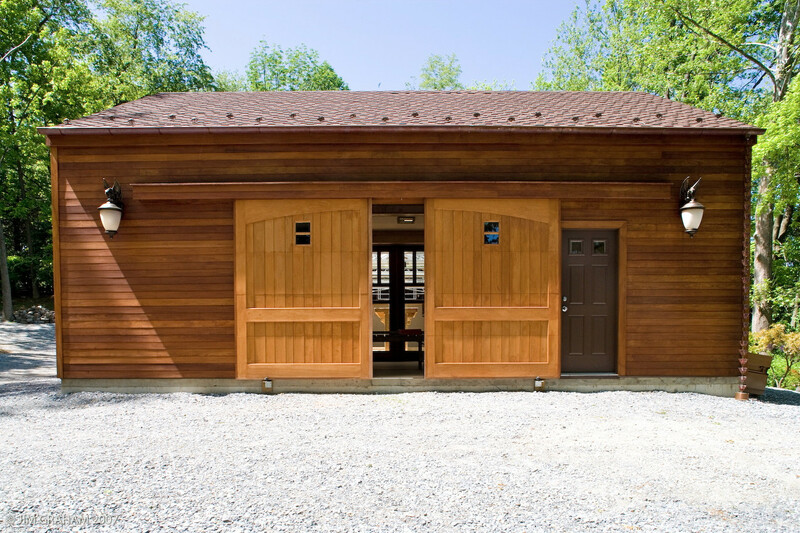 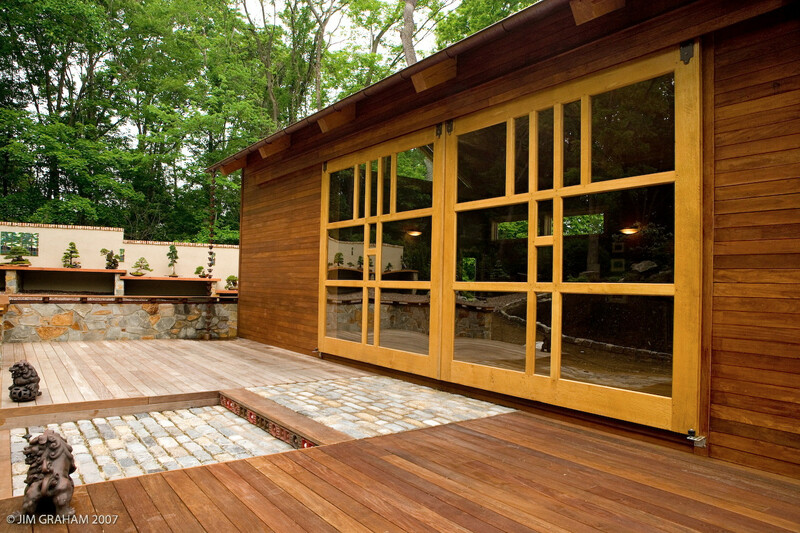 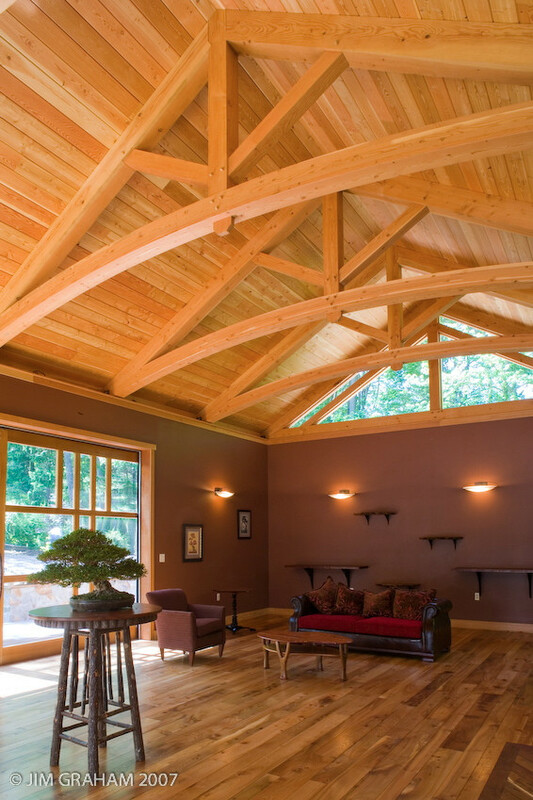 Hugh Lofting Timber Framing provided structural trusses and tongue-and-groove decking for the roof of this bonsai house and studio in Kennett Square, Pa. 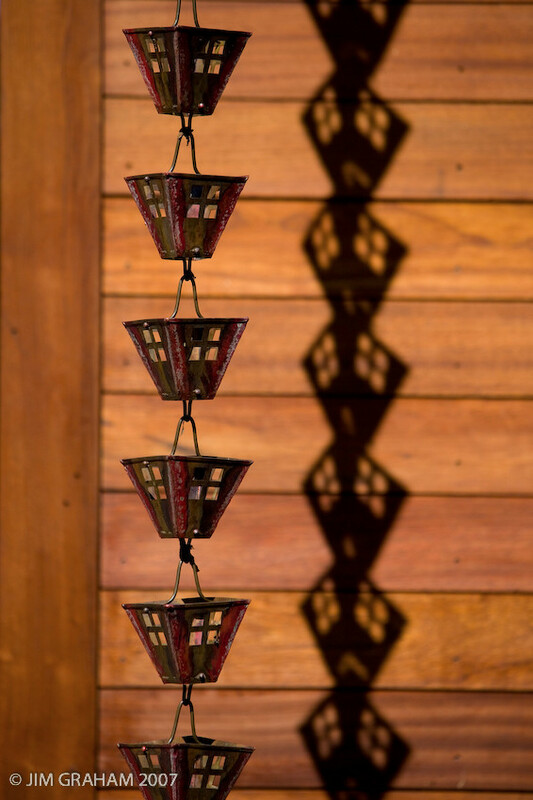 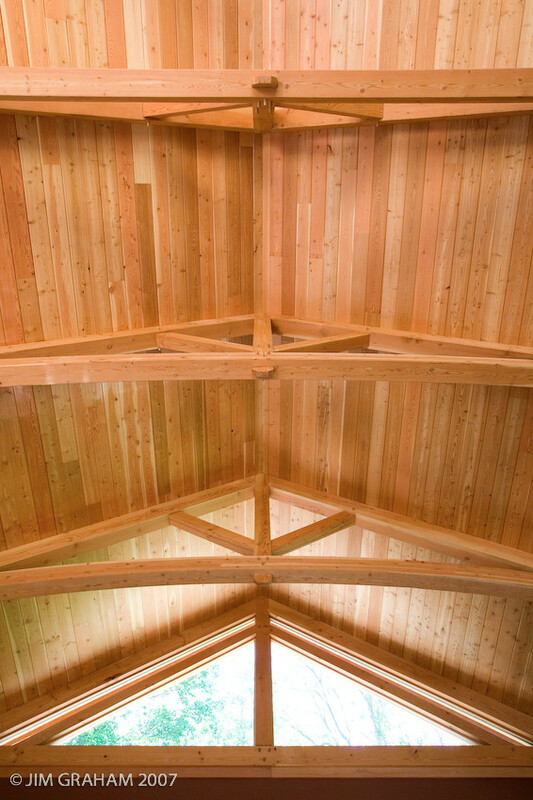 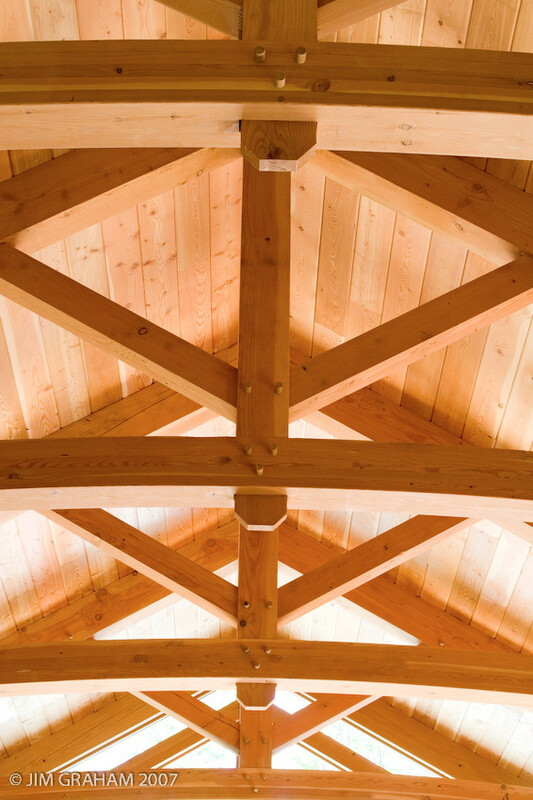 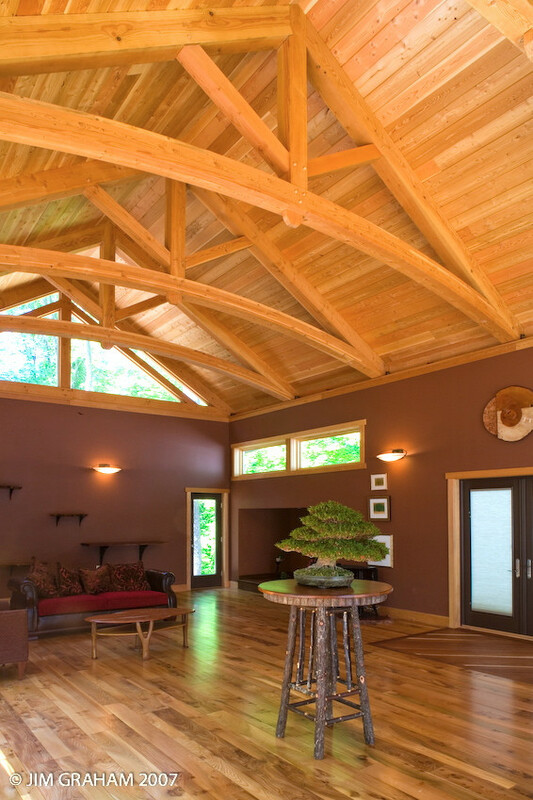 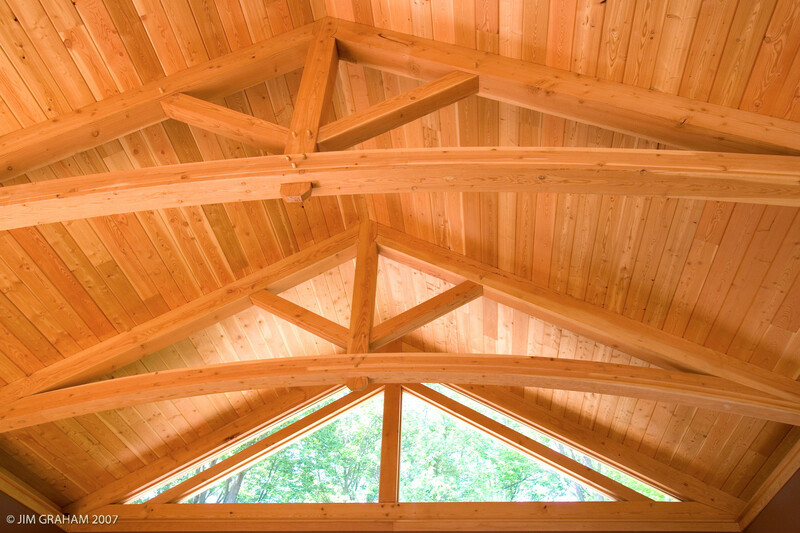 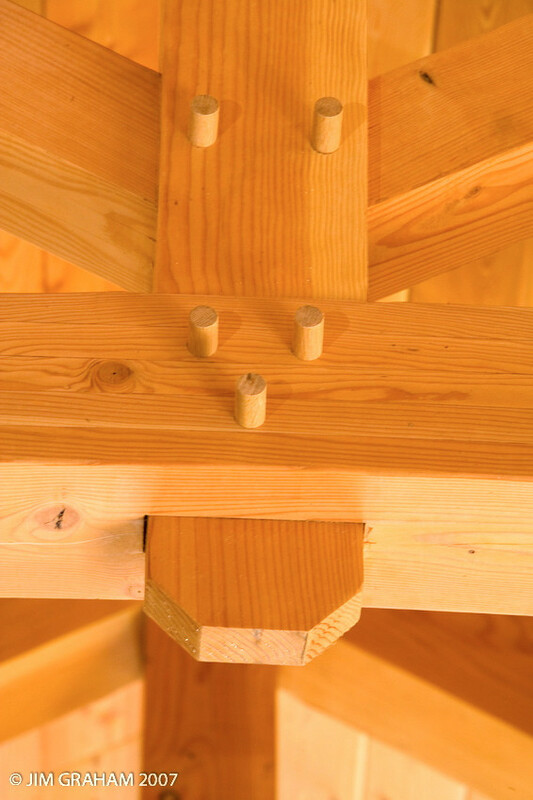 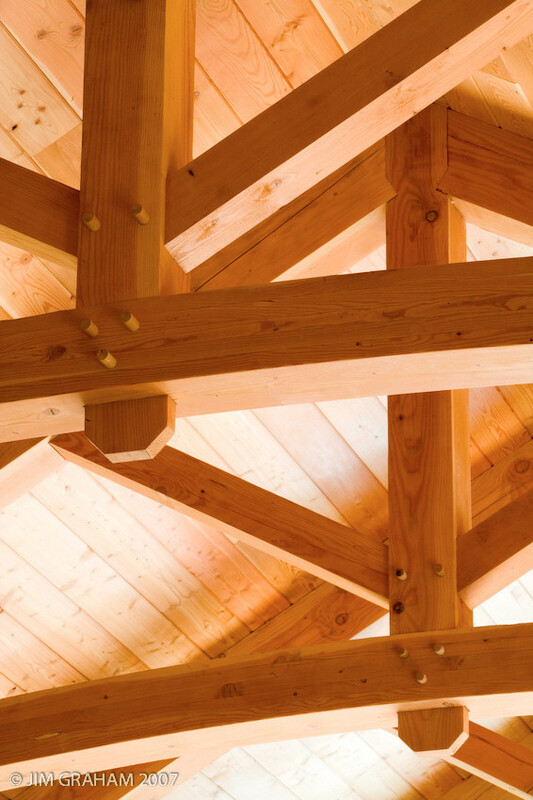 The Douglas Fir trusses were designed with solid king posts and elegantly curved glue-laminated bottom chords. 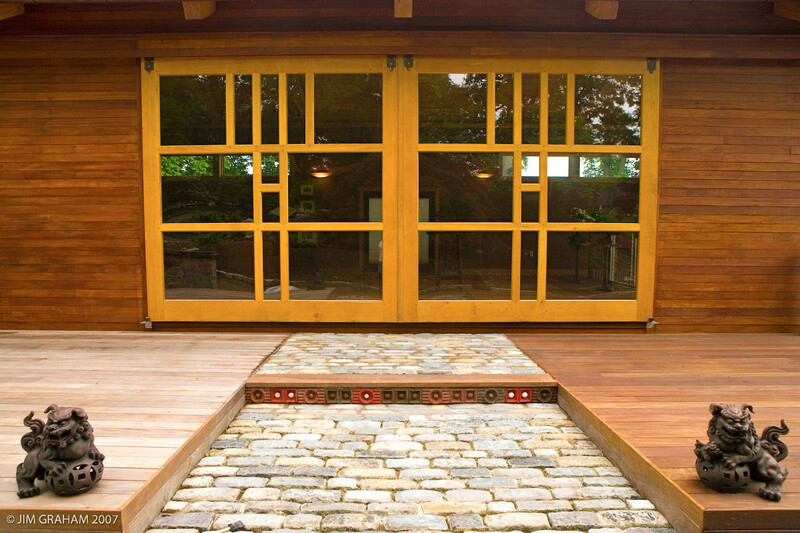 Contractor: Clemens Construction Company, Inc.